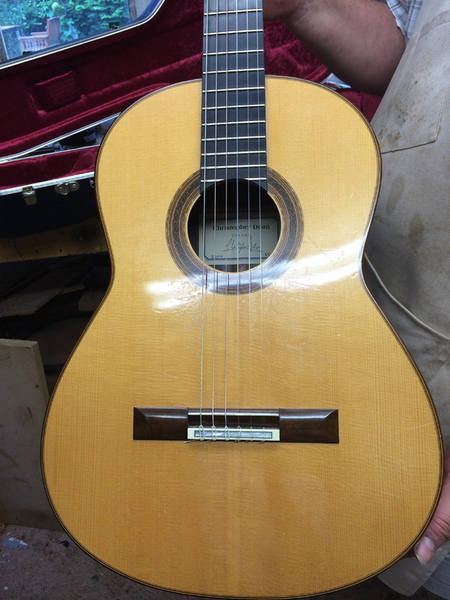 A true flamenco guitar bought buy the owner from Bernal direct and collected in Spain. 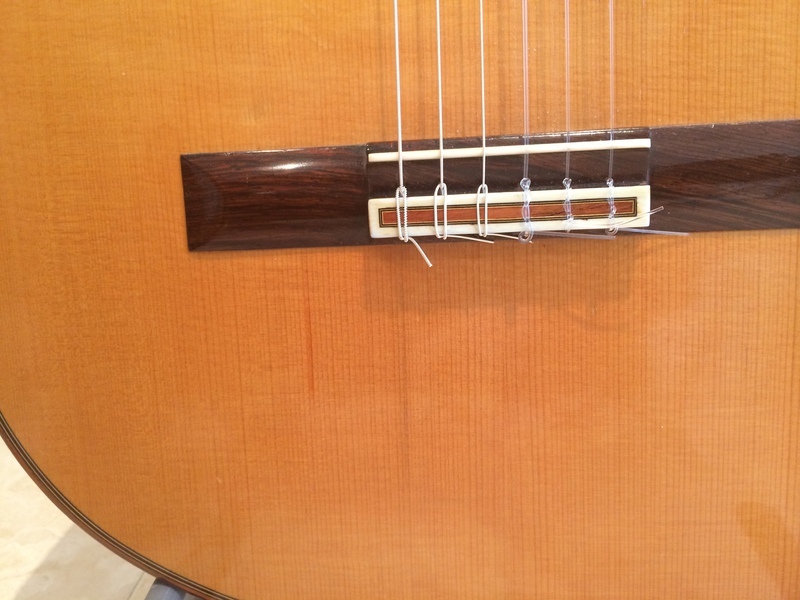 Made in 2016 this guitar has no marks and is in near mint condition as possible. 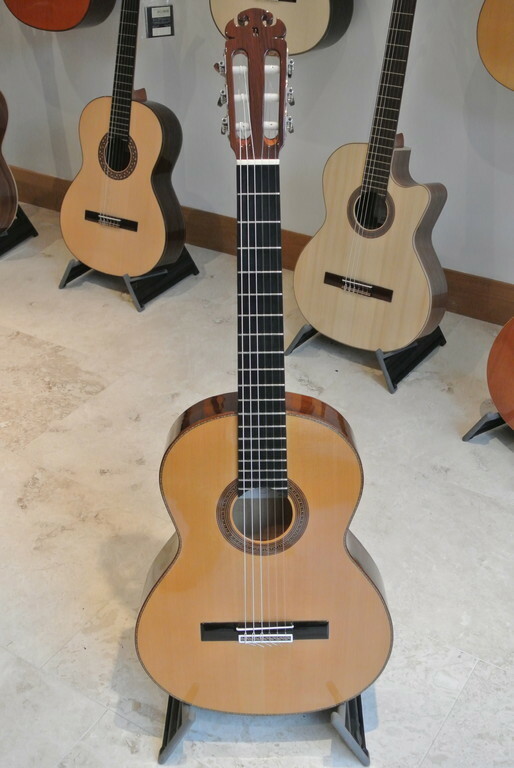 The Negra model makes for a slightly heavier guitar but this comes as a comfort for those not used to the lightness of many flamenco guitars. 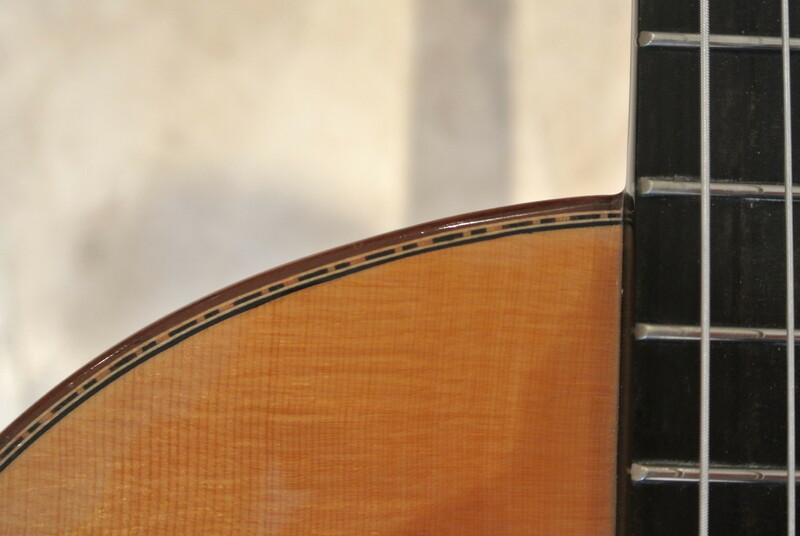 The sound is true to its roots and packs a real punch. 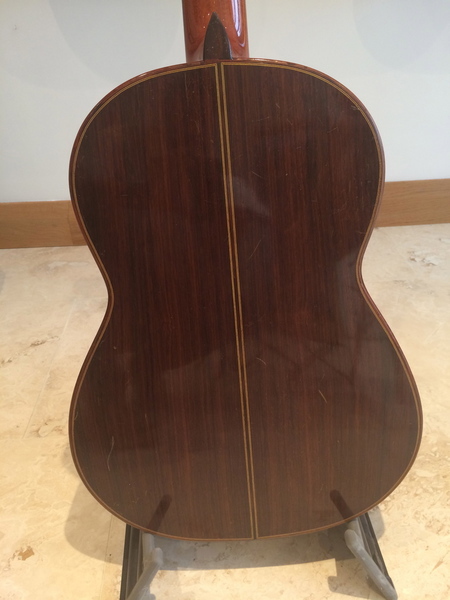 This guitar comes with a case and is available for immediate inspection. A fine example of Michaels work. 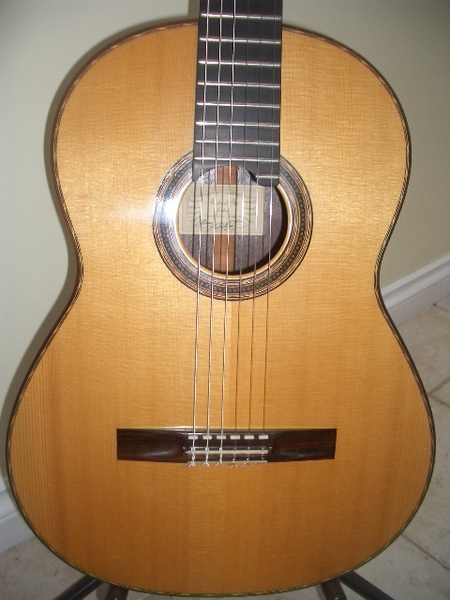 As this guitar is a commission sale please contact us for more details as the guitar is currently not in the studio. 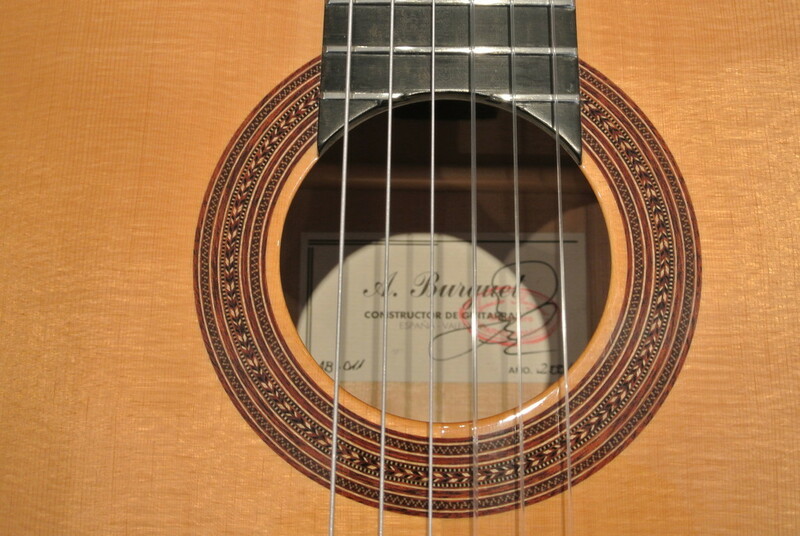 A great chance to get a famous luthier built concert guitar for a reasonable price. 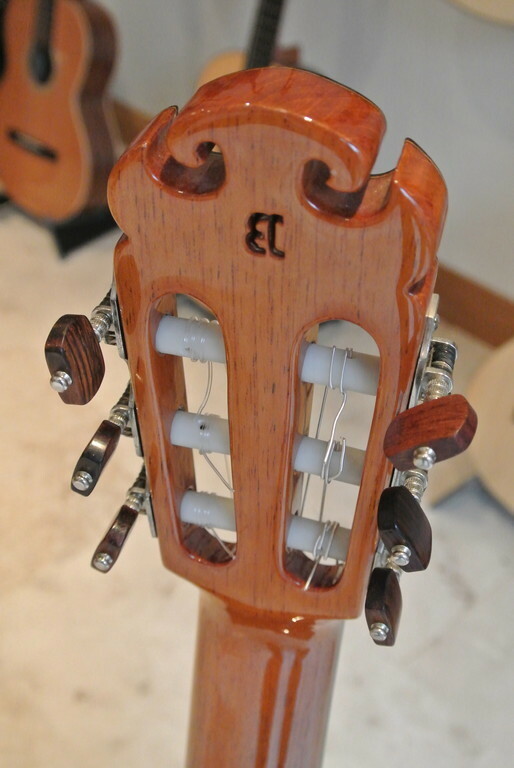 This guitar is emotionally tied to me! 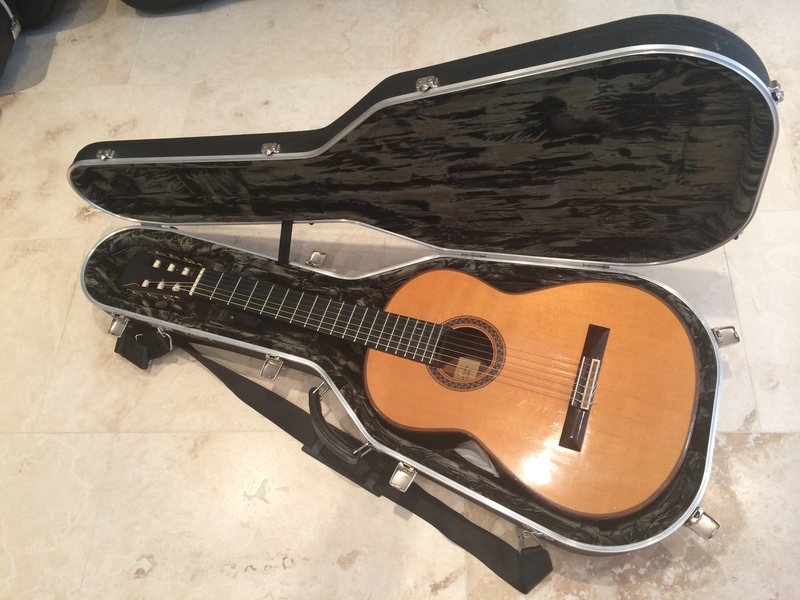 It has been my only concert guitar since I bought it in 1986. 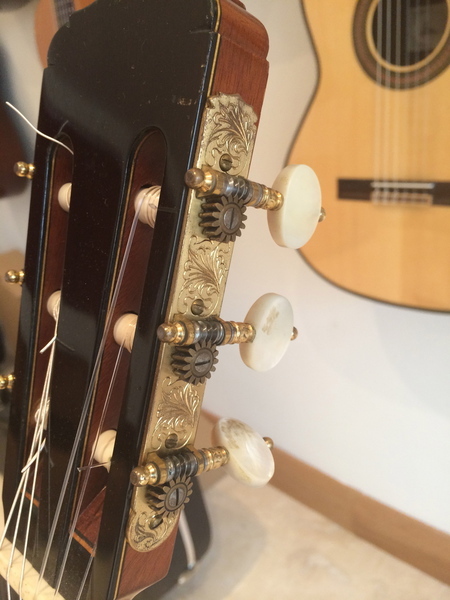 The guitar has seen me through my entire career but I feel it's time to let it go. 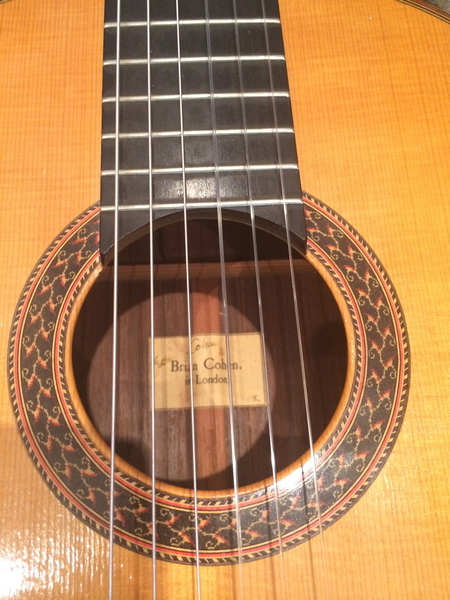 The guitar was made by Brian Cohen in London and is a Hauser style instrument. 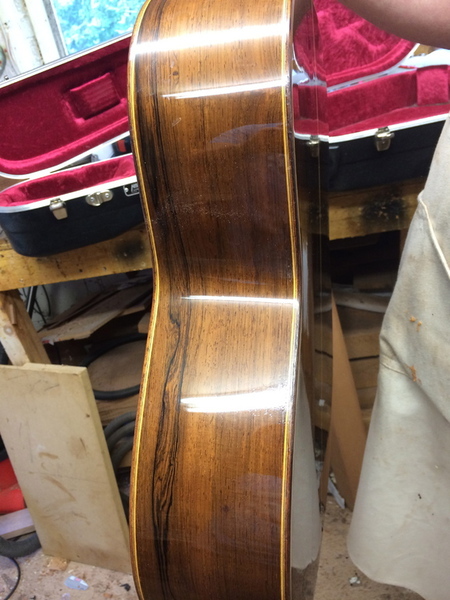 The spruce top has had a repair done (by BC) to the top many years ago but this is very stable and hard to see. 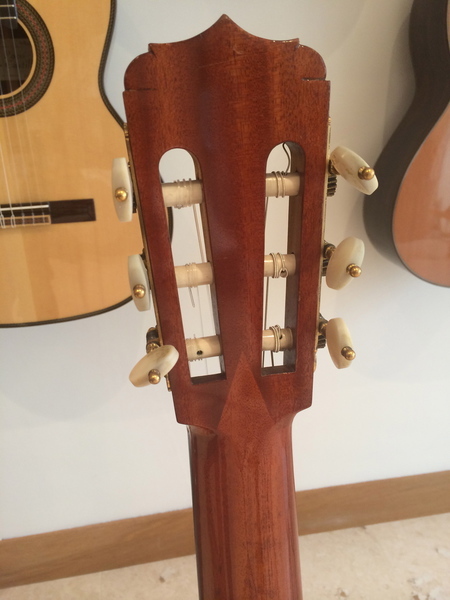 There is no effect to the sound. 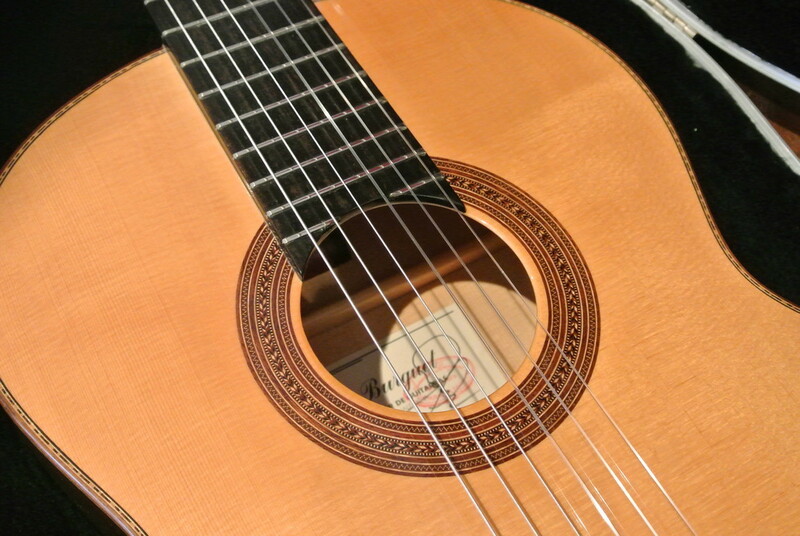 The guitar is loud across the range and very easy to play. 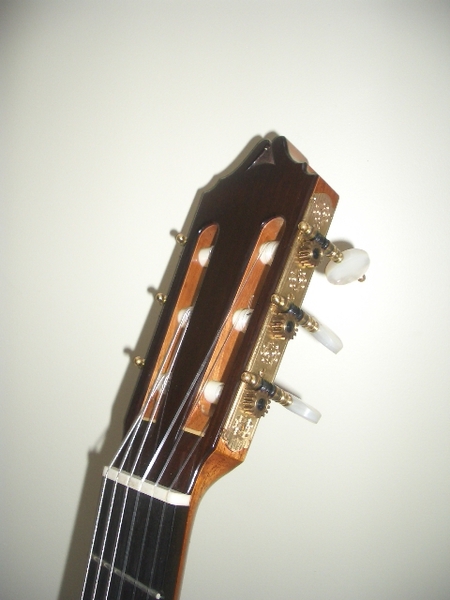 The maturity of the instrument means that the guitar has really grown of the years and is in full voice. 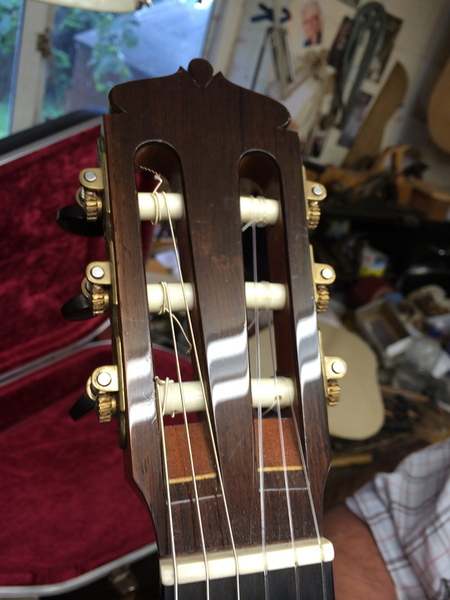 I intend to have the instrument stripped and re french polished as it is showing it's age and would certainly benefit from a bit of a make over. 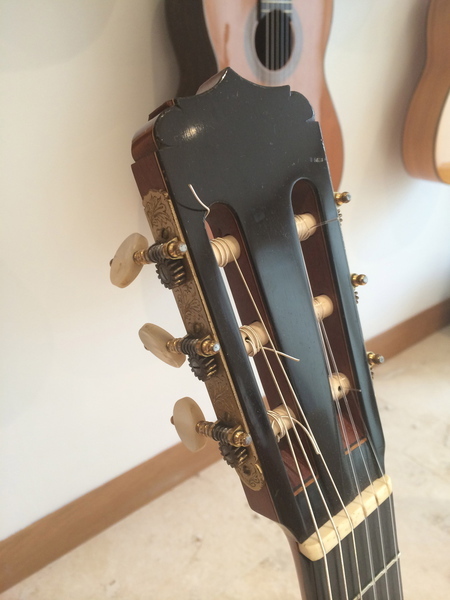 However, I will not go down this route for a month or two so please contact me now if you'd like to see the guitar in 'battle worn' condition. 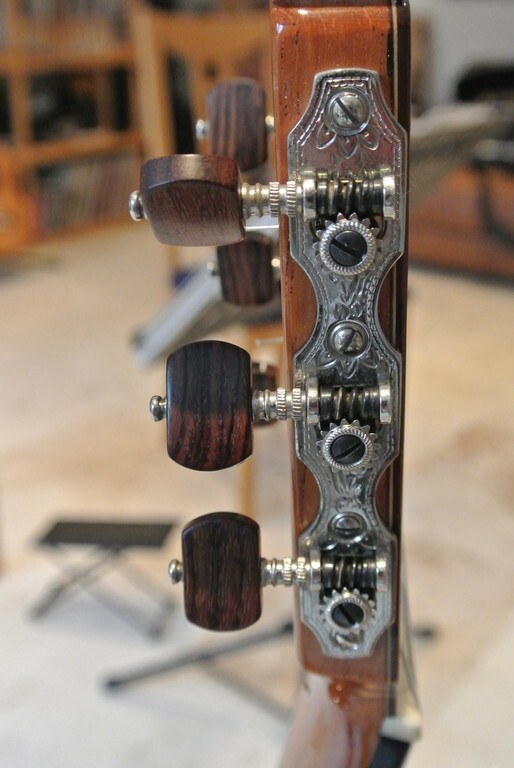 The back and sides are lovely Brazilian rosewood and machines are old hand engraved Rodgers. 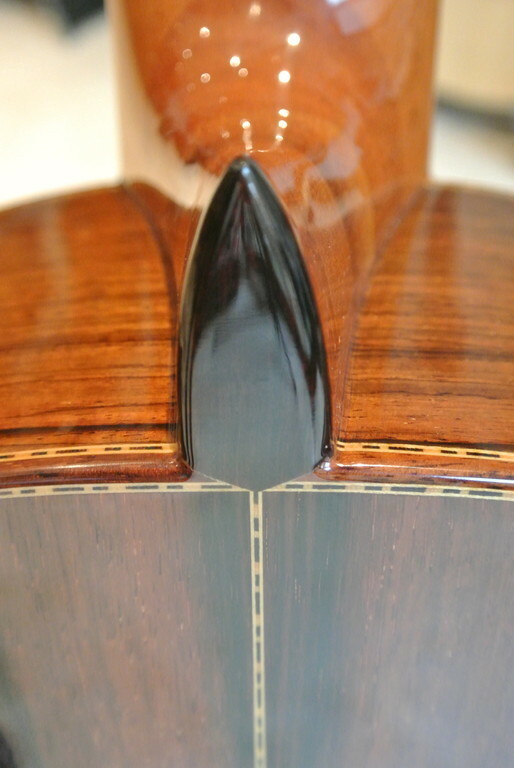 The head is wonderfully faced in ebony which is not common but very striking. A Hiscox Artiste case will also be included. These pictures represent the BEFORE and not the after! 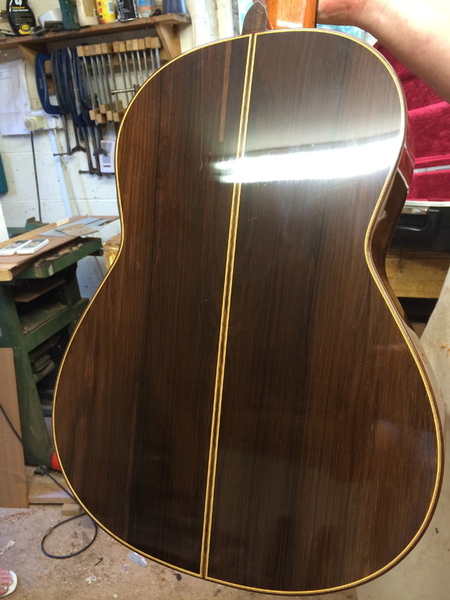 The guitar is currently undergoing a full re-finish and will look a great deal more enticing when finished! 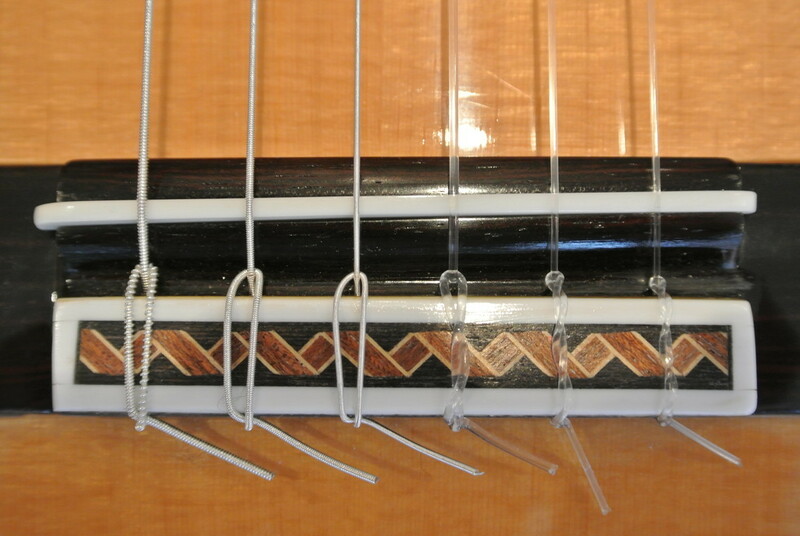 There is evidence of crack repairs but all are stable and uneffecting the sound. 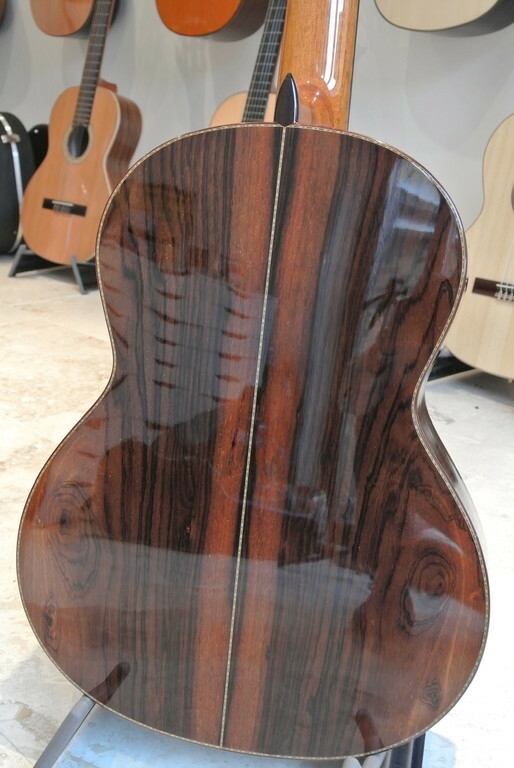 The top is spruce with back and sides of Brazilian rosewood. 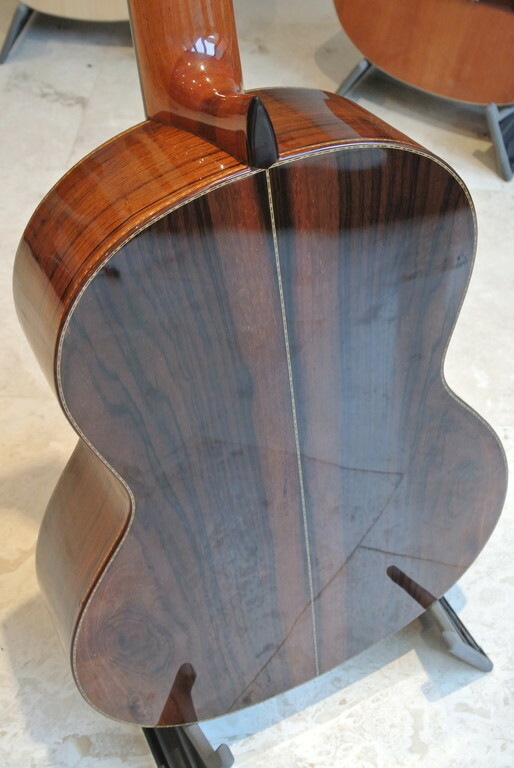 Look on this guitar as an opportunity to own an instrument by one of the UK's best Luthiers. 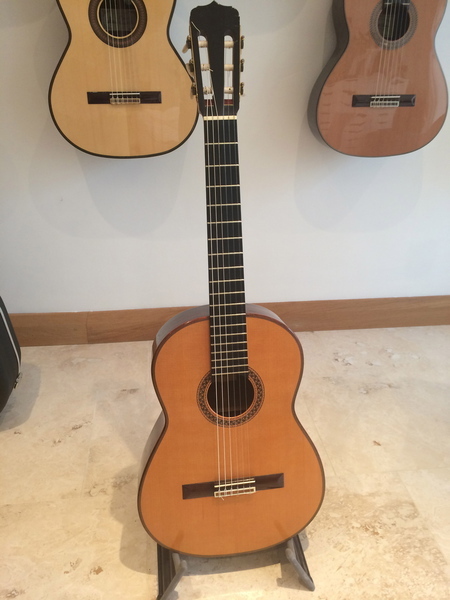 It is being given a new lease of life and deserves to be played and enjoyed. More news to follow but please let us know if you are interested as we don't think it will be around for long. 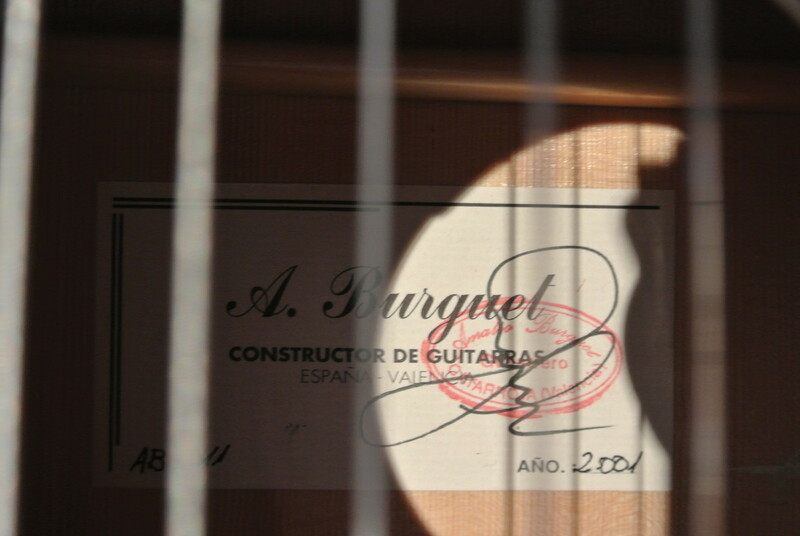 The guitar comes incl. high quality hard case. 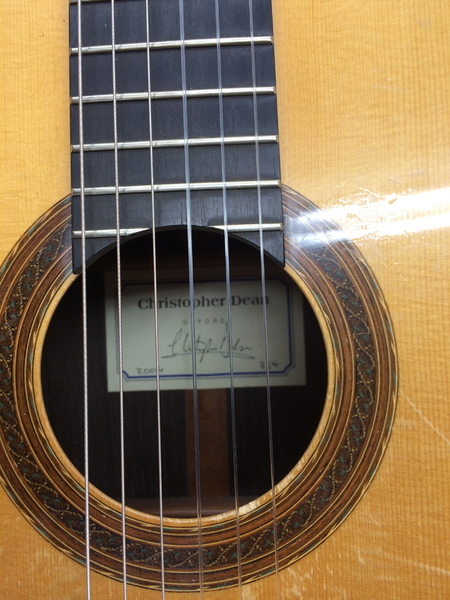 This guitar is in almost mint condition . 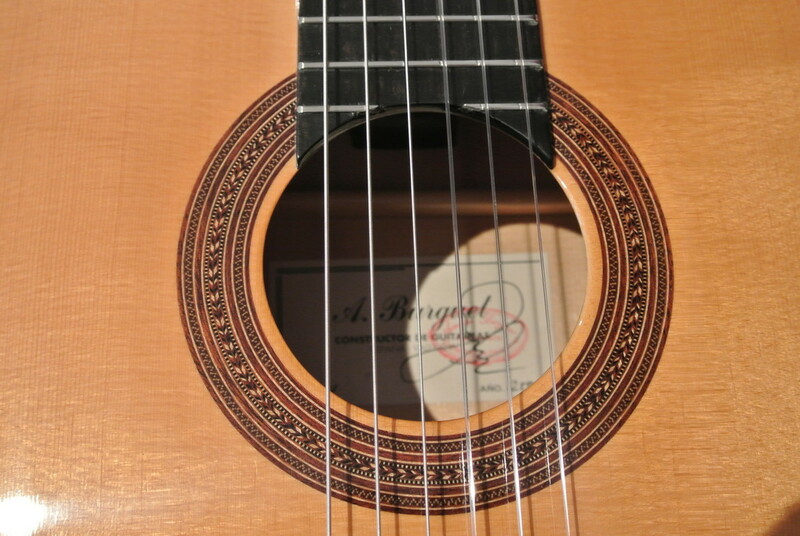 A superb spruce top that has been aged and played in for you! 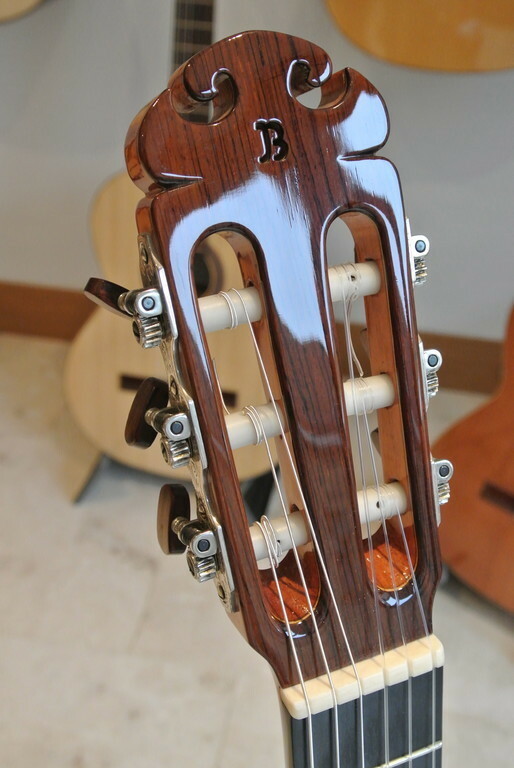 This guitar represents Burguet at his very finest and is made by the man himself. Contact us for more details. The first person to play this will probably buy it! 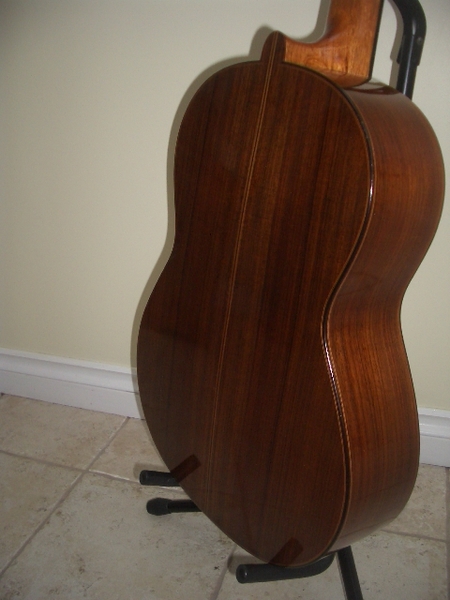 Cedar Top with Indian rosewood back and sides. In almost immaculate condition with only the tiniest ding on the table. 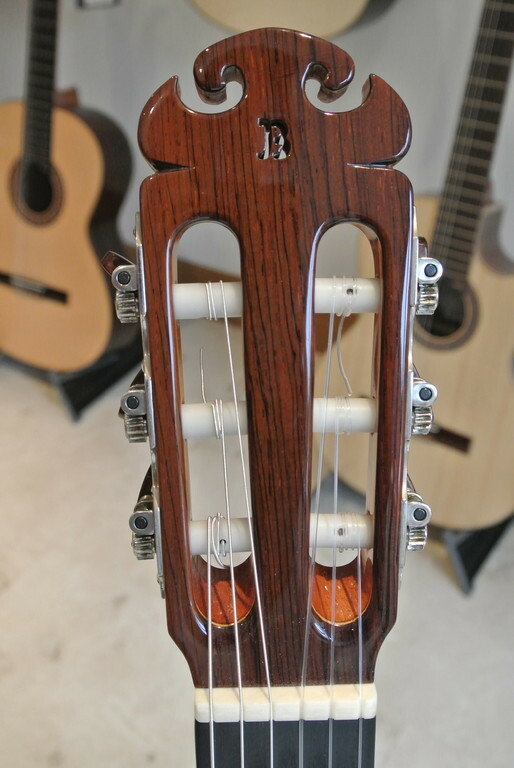 Playing this guitar you are immediately hit by the volume that this instrument is capable of. 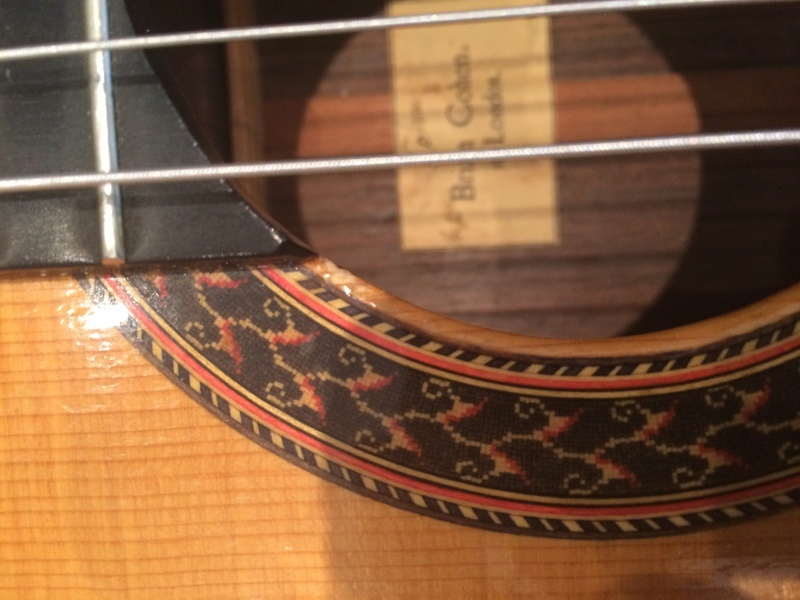 The tone is rich and warm and offers a great deal back to the guitarist. 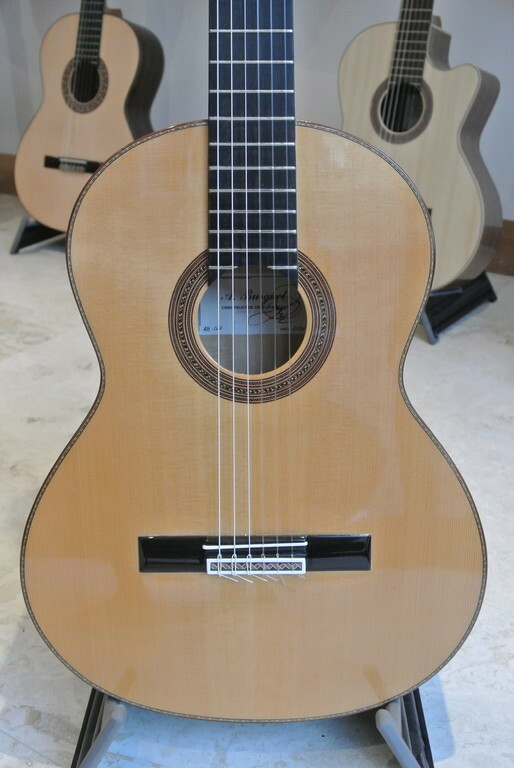 You get a great deal of guitar for your money and certainly would expect to pay alot more for an instrument of this quality. Please call 07758 450666 to arrange a viewing. 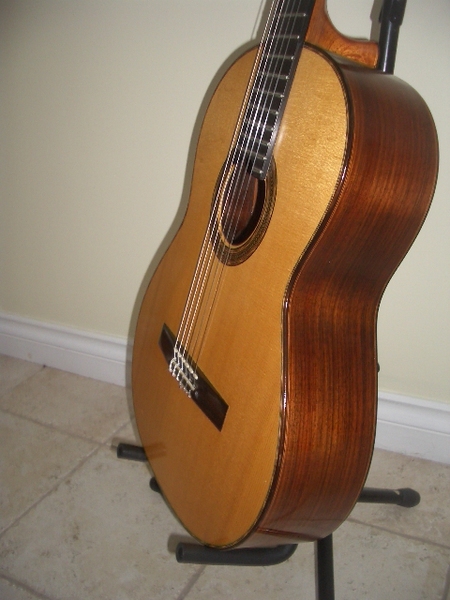 Small bodied electro acoustic steel string guitar in black. Condition is excellent. 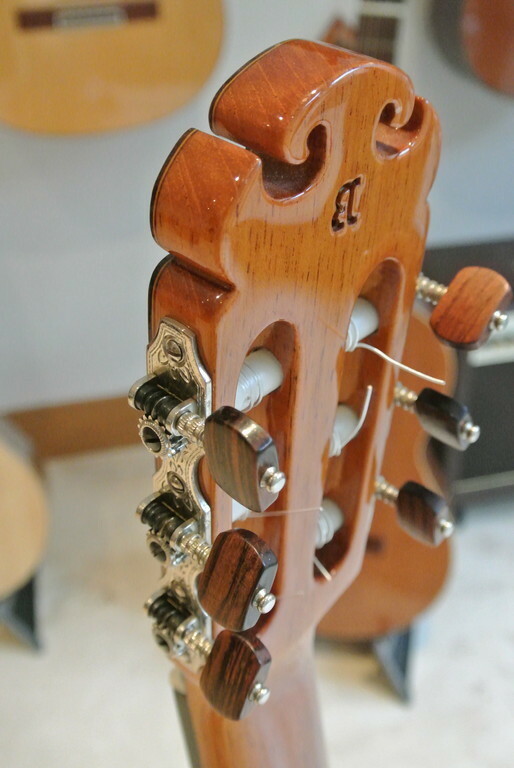 To arrange an appointment at our Northamptonshire studio please contact us using the contact section of this website or call 07834 923474 to chat through your requirements or simply ask for some advice.